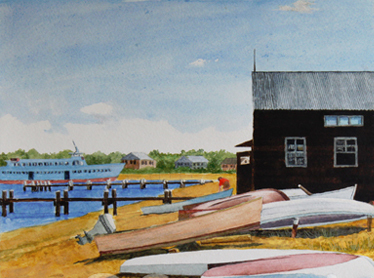 His work consists of oils, watercolors, pen and ink and graphite drawings. In addition, Giclees and prints are available of all original works. 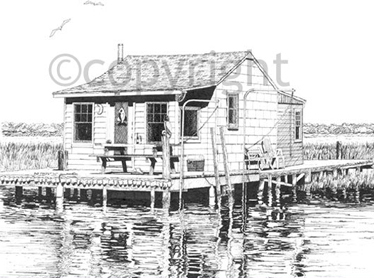 His present endeavor is to complete a series of pen and ink drawings of the endangered Bay Houses that are located on the marshes of southern Long Island. 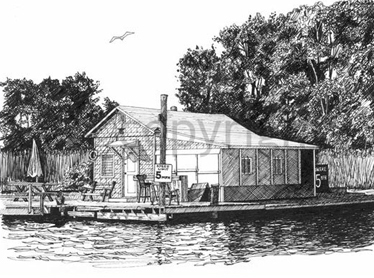 Click here for a short history of these houses and take a tour of drawings and other works.